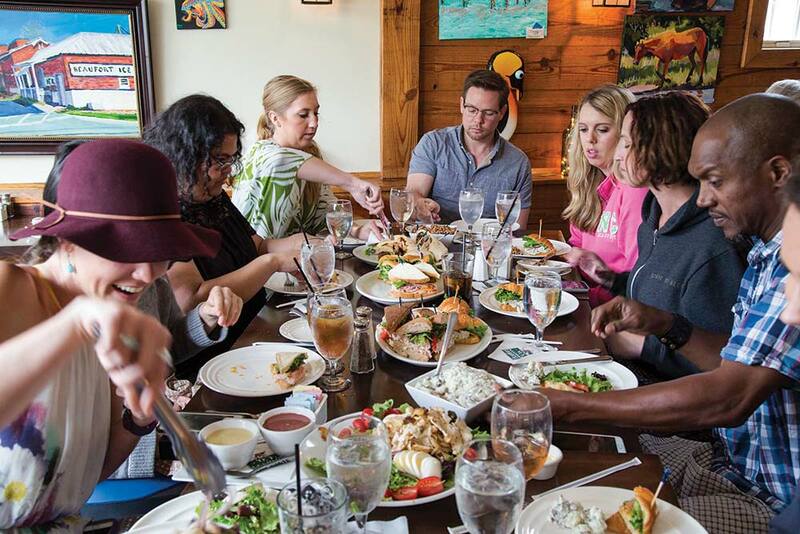 In Beaufort, North Carolina, preserving the past is the way of the future. 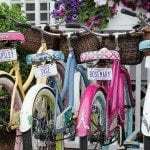 Often referred to as the Inner Banks of North Carolina, the Crystal Coast offers an abundance of pleasures for anyone seeking adventure or serenity on, under or simply near the ocean. Beaufort, NC is one such pleasure. The broad, sandy beaches stretching out from the dunes are legendary. 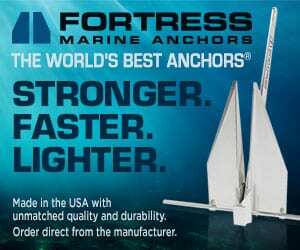 Surfcasting and offshore fishing are some of the best in the world. With over 2,000 shipwrecks, “the graveyard of the Atlantic” provides scuba divers with warm water and 75 feet of visibility as they explore the depths. A coastline dotted with marinas and marine services of all sorts satisfies the demands of the transient yachtsmen and weekend wave warriors. Moreover, families suffering from vacation desperation may partake in boat tours to Cape Lookout, bike and walking tours, food tours, bus tours, nature and wildlife tours, night tours, air tours, historic and heritage tours, and even ghost and vampire tours. 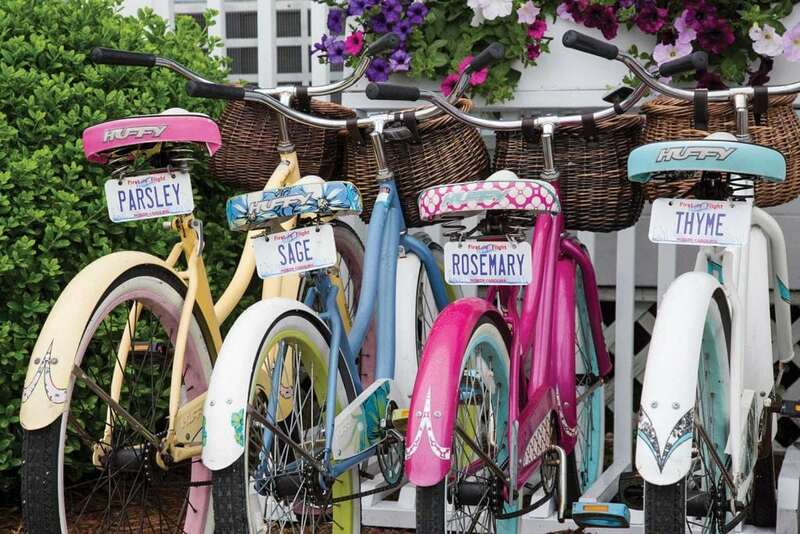 Or they may simply relax and build lifelong memories amidst the peace and serenity of a beach cottage in the dunes. 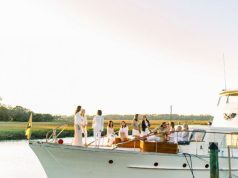 Tucked behind Cape Lookout and Shackleford Bank with its fabled feral horses, the town of Beaufort is deeply rooted in maritime history and arguably the jewel of this coastal crown. 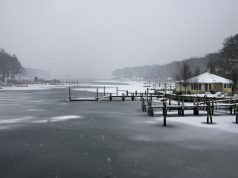 Having grown up in a small New England coastal community, I have a special appreciation in my heart for those unique places that seem to cling to the edge—places that exist on that space between water and Earth, the demarcation line separating the known from the unknown. 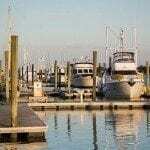 Founded in 1709, Beaufort still remains a welcoming port of call for modern cruisers churning their way up and down the ICW as well as for bluewater sailors darting into the Beaufort Inlet such as the pirate Edward Teach—better known as Blackbeard—regularly did in the early 18th century. Legend has it that Blackbeard would run his ship Queen Ann’s Revenge up into Taylor Creek adjacent to Front Street and enjoy the various pleasures of the town while his crew was busy with the duties of repair and provision. 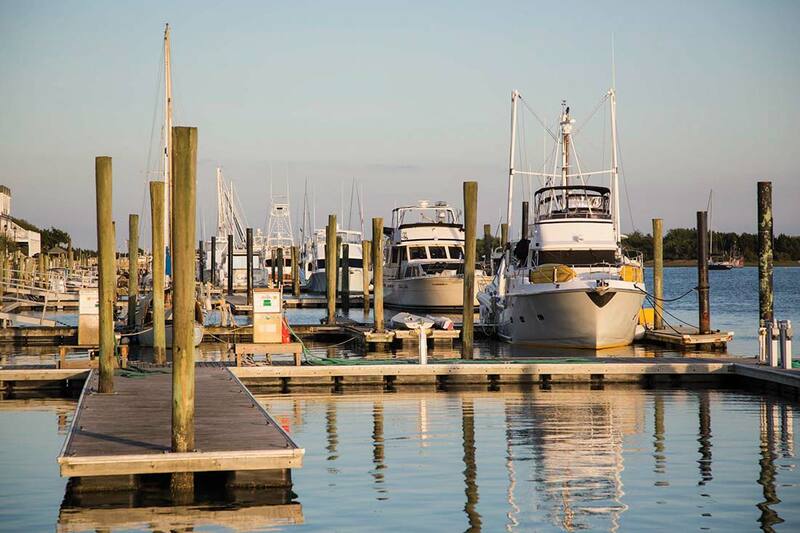 Blackbeard met his violent end at the nearby island of Ocracoke in 1718, but the maritime industries of Beaufort have continued to flourish while the town itself has evolved into one of the most charming and active historic waterfront communities on the East Coast. Rooted in a history of boatbuilding and fishing, the neighboring Harkers Island is home to a long, proud legacy of watermen that reaches back to the mid-18th century. Ebenezer Harker acquired the island in 1730. He and his family aslso built a plantation and boatyard, thus planting the seeds of a boatbuilding tradition that continues to this day. 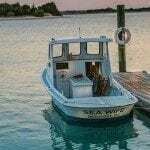 Hundreds of years after at the age of 18, Randy Ramsey became the youngest charter fishing boat captain on the island. Armed with the local knowledge and experience in dealing with the demands of commercial fishing, young Ramsey felt there had to be a better boat design to improve performance and handling in the often rough and treacherous sea conditions. 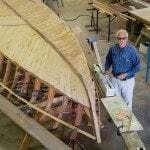 In 1986, he began the design and construction on his first boat in a tin shed with a fellow captain and islander Jim Luxton. Completed in 1988, the 52-foot plank on-frame sportfish Sensation proved a success in delivering and sustaining the now legendary “Carolina ride”. 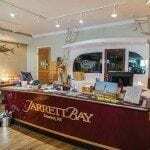 Such were the humble beginnings of Jarrett Bay Boatworks (JBBW). 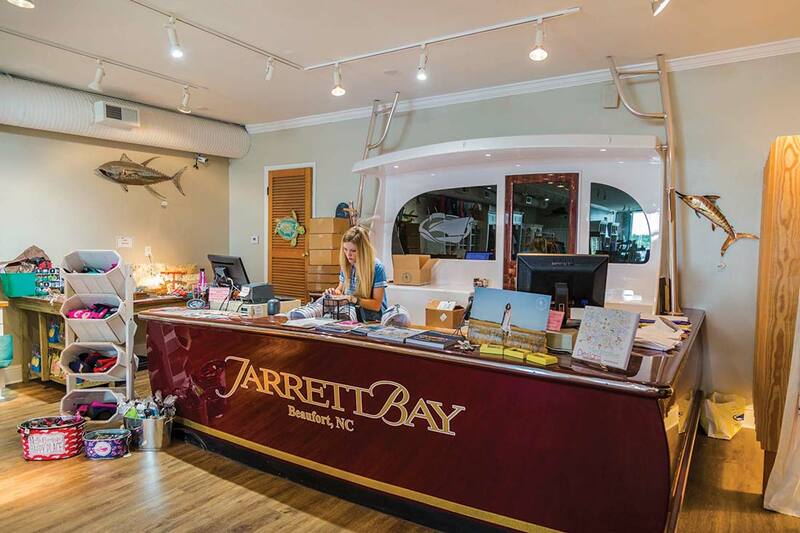 In 1999, Ramsey moved the company to its Beaufort location on Sensation Weigh, which created the Jarrett Bay Marine Industrial Park. The 175-acre park located on the central coast of North Carolina at ICW MM 198 is about halfway between New York and Florida. With an ever-expanding variety of marine specialty service operations and a 220-ton capacity Travellift, the park is capable of handling virtually any repair and refit requirements for yachts, cruisers and commercial fishermen. The marina welcomes vessels ranging from 17-foot center consoles to 130-foot luxury motoryachts and offers transient docking and fuel. A conversation with JBBW’s vice president Tate Lawrence reveals that JBBW is not content to bask in the sunshine of past glories. The Carolina design has evolved along with the development of vacuum bag construction, stronger and lighter materials and more powerful engines among other progressions. 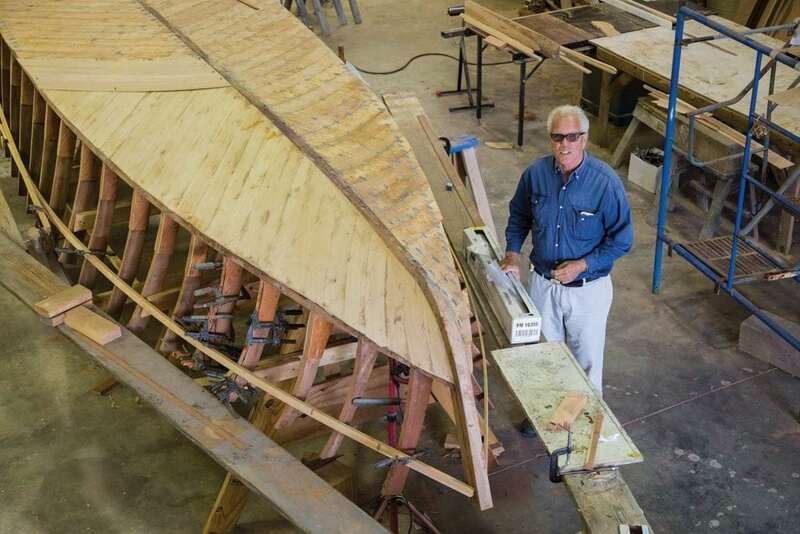 “Every boat is different—truly custom as is each customer,” says Lawrence. The over 90 custom boats delivered to date is a testament to the JBBW commitment to excellence. The 90-foot project in the shed is about halfway through its 3-year birthing process—handmade all the way and obviously worth the wait. Fittingly, Beaufort is home of the North Carolina Maritime Museum. The museum is the official repository for all of the artifacts from the wreck of Blackbeard’s Queen Anne’s Revenge discovered in 1999. There is also a display of more than 5,000 seashell specimens from over 100 countries around the world. 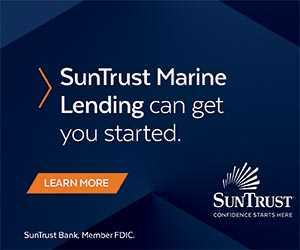 Located across the street at the museum’s Watercraft Center, volunteers actively build and restore boats in an effort to preserve the Crystal Coast’s tradition of “backyard boatbuilding” and the annual BoatBuilding Challenge. 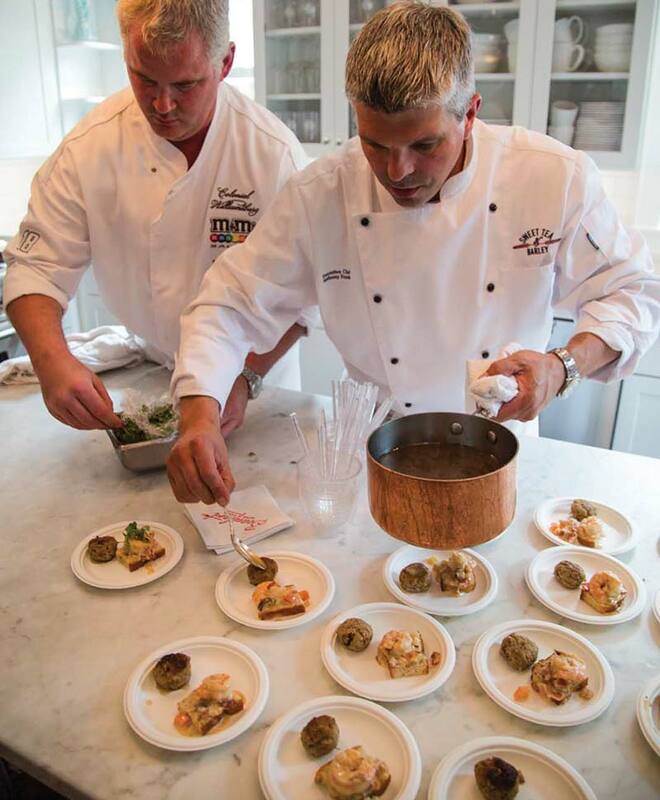 The center is also the jumping-off point for the annual Beaufort Wine and Food Weekend. It’s a delightful event where residents open their historic homes. Highlights include the combined efforts and generosity of the wine community, winemakers, local eateries, and fabulous guest chefs. 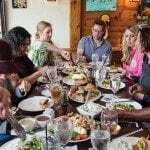 All donate their time and talent during the flavorful 5-day event, which culminates with the Grand Reserve Tasting Auction on the waterfront. 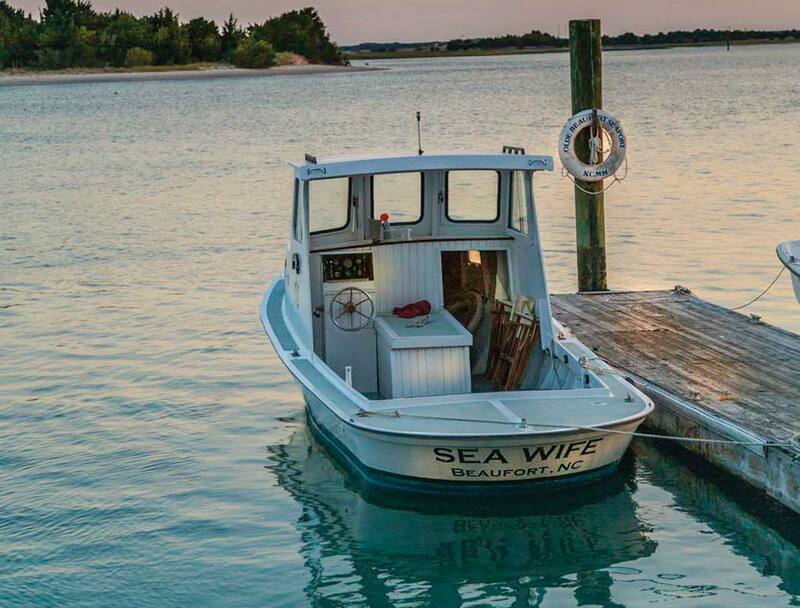 Beaufort offers spectacular coastal scenery, significant maritime history, a strong sense of community coupled with great food, and an easy pace of life. 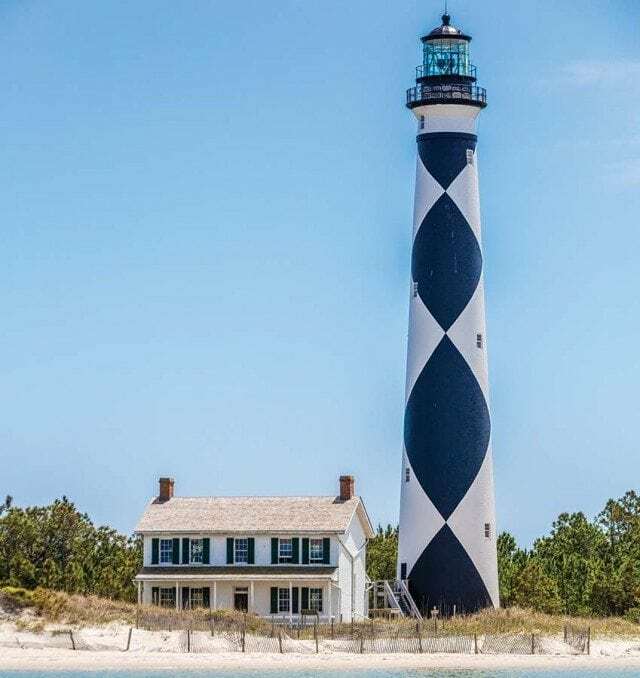 -Discover Cape Lookout Lighthouse, spend time camping and fishing and enjoy the Shakelford Banks wild horses. 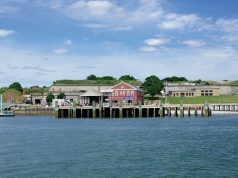 -Get a taste of coastal cultures and nautical history.